Paris is full of activities and museums to do alone or in groups. But what are the activities and places to visit in the 15th district around Aloha Youth Hostel? Here are some ideas for sightseeing in the 15th district around Aloha. Georges Brassens Park is a medium-sized park (8.5 hectares) where it is pleasant to stroll. It is built on old slaughterhouses and there is an apiary, a river, a vineyard and a garden of “scents”. For children you will discover a playground, a carousel, ping-pong tables and even pony rides! The André Citroën Park adjoins the 16th neighborhood and has a size of 14 hectares. It consists of long, flat lawns and water jets. It also offers greenhouse tours. 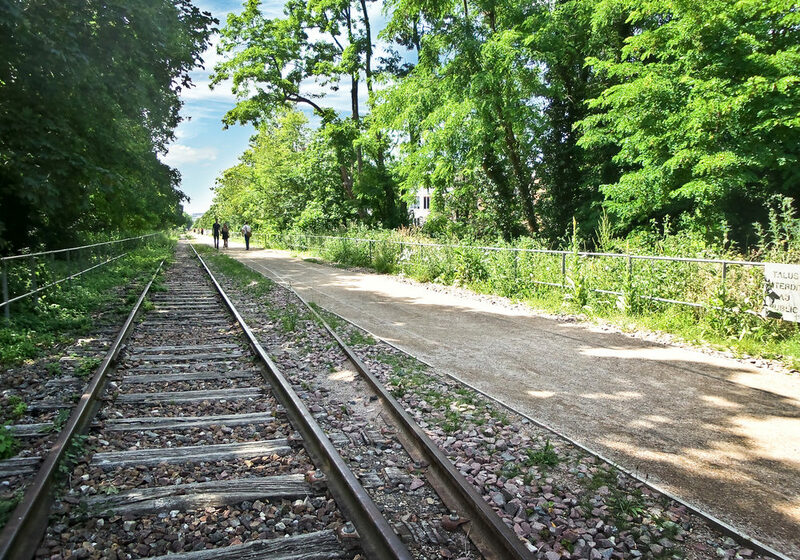 The Garden of the small belt of the 15th neigborhood is on an old railway line of 32 km long. It offers unusual landscapes and different varieties of plants. The Postal Museum in the 15th neighborhood offers various exhibitions, workshops and activities around the stamp and history of the stamp. Warnings : It is currently in construction! The Jean Moulin Museum is the museum dedicated to General Leclerc de Hauteclocque and the liberation of Paris. It is located near the Montparnasse train station and the access to the permanent collections is free. The Bourdelle Museum offers exhibition spaces open on a garden at a few steps from the Montparnasse train station. You will discover Antoine Bourdelle’s old workshops dating from the 19th century as well as the modern part of Christian de Portzamparc. You can enjoy a space with a water park and water jets at Aquaboulevard or refresh yourself at the 50-meter-long Keller pool in the heart of Beaugrenelle. The old and used book market along Georges Brassens Park was founded in 1987 under halls. It is located in the South of the 15th neighborhood. It takes place every Saturday and Sunday of the year from 9:00 a.m to 6:00 om and gathers about sixty booksellers. The Panoramic Observatory of the Montparnasse tower offers you a breathtaking view of the rooftops of Paris. The entry fee cost 17 euros and cost between 8.50 euros and 15 euros for the reduced rate. It also offers a restaurant with panoramic views of the capital.